Coryn Rivera is returning to the Trofeo Alfredo Binda to attempt to get the victory once again. 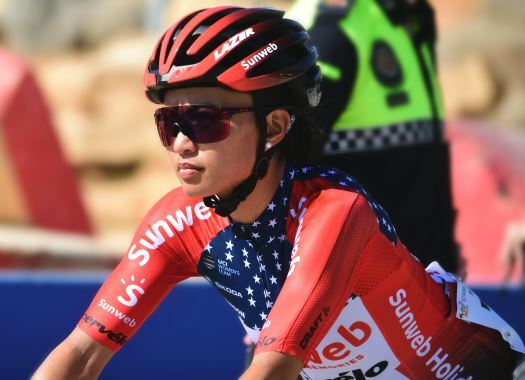 The American will lead Team Sunweb at the third WorldTour appointment of the women's calendar. Rivera was the fastest rider at the final sprint of the 2017 edition of the race and Sunweb will attempt to protect her until the end while working for a fast finale once again. The race will be held between Taino and Cittiglio over a 131.1-kilometre route. "Trofeo Binda is the exact same course that the riders have faced the past two years but thankfully the weather looks to be calmer compared to last year's edition," said Sunweb's coach Hans Timmermans. "Of course, we have a big favourite, and former winner, in Coryn so we are hoping for a sprint finish. We have a strong group of riders here and I'm confident we'll be present in the finale, looking to show ourselves for a top result."